Eric San first began making a name for himself 15 years ago as Kid Koala, an artist who simply did things differently than his contemporaries. Although known primarily as a DJ, San is also a musician and an illustrator, two skills which he regularly combines together, as in the instance of his most recent work of art. Although Kid Koala performed a DJ set in Berlin over the weekend, San’s primary focus has been his newest work; just a few months ago, his second graphic novel, “Space Cadet,” was released in the form of a book based on a series of etchboard drawings and an accompanying soundtrack. Admittedly, it has been nearly a decade since the release of his first graphic novel, 2003’s “Nufonia Must Fall,” but the project had been in the works for almost as long as the period between the two. The story itself is based on the idea of an astronaut girl floating through space, something which was inspired by and written for San’s daughter, Maple. Because San’s use of headphones was so essential in the making of the music, it makes perfect sense that he incorporates them into the live performance of the album as well. Because of all the details involved in the “Space Cadet” setup, however, San and his team have not been doing a full-fledged tour, instead preferring to play in a handful of cities over a lengthened period of time. In the meantime, he admitted he’s been approached by Canadian museums and galleries interested in creating long-term installations and interactive exhibits. And although being a musician isn’t always easy, San seems to have found the best way to make a viable career out of a sometimes uncertain profession. Particularly, due to the uniqueness of his creations, he has found a niche with fans who support him, regardless of what his projects are. As for what the future holds for him, San said while Emiliana Torrini and Karen O. top the list of people he’d love to do a record with, currently he is collaborating with friends to make a turntable puppet musical about zombies and ramen noodles. 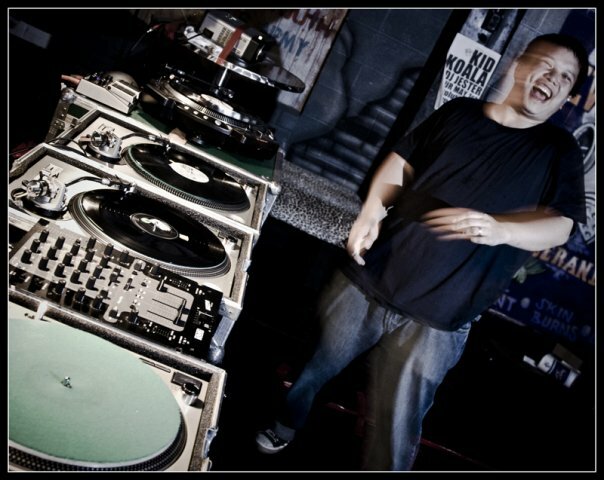 This entry was posted in Interview and tagged Canadian, Feature, Interview, Kid Koala. Bookmark the permalink.